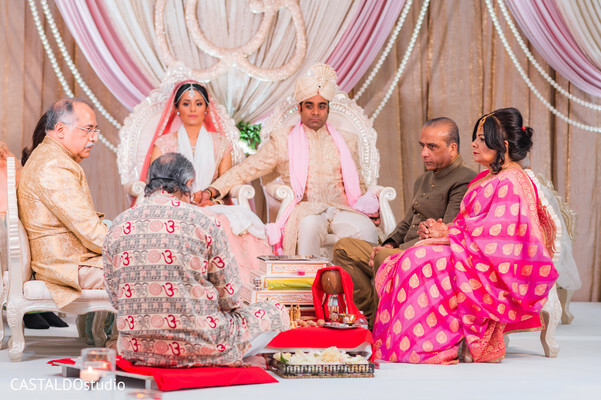 Maharanis, I'm glad you made it on time for the upscale Hindu wedding ceremony of Varsha and Giresh! 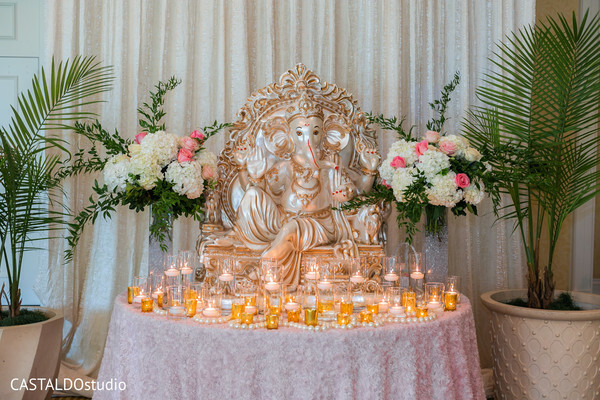 We are now at the Omni Orlando Resort at ChampionsGate, a stunning venue that Utopian Events made look effortlessly beautiful with a blush pink and silver color theme. 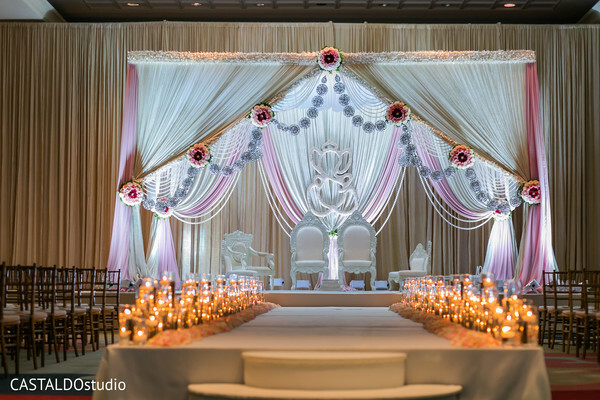 Using round hanging crystal charms and sweet round floral arrays, the creative team festooned a majestic draped mandap that brought supreme elegance to the ceremony moment. 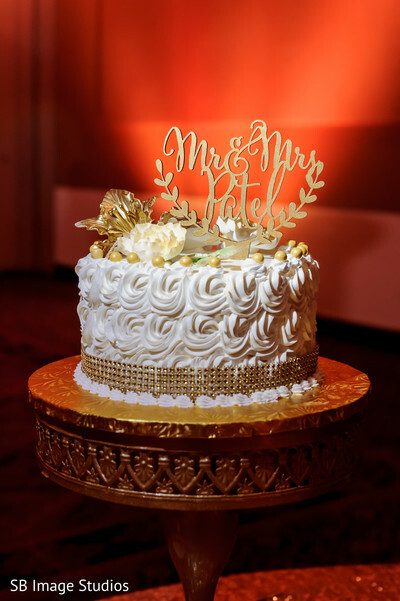 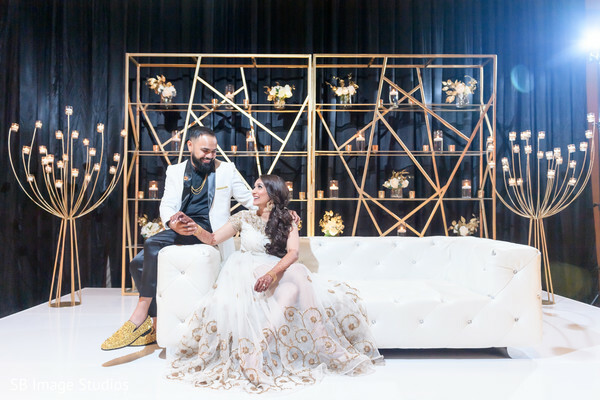 The main stage also served as the backdrop for a sweet first look between the soon to be husband and wife, captured by the artistic photo team of Castaldo Studios. 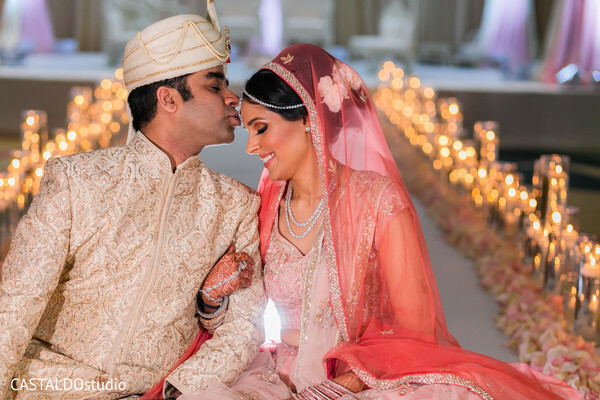 Maharani Varsha looked jaw-dropping in a soft pink lehenga and a sweeping pink dupatta while her subtle yet magnificent jewelry set design made her glow for the camera! 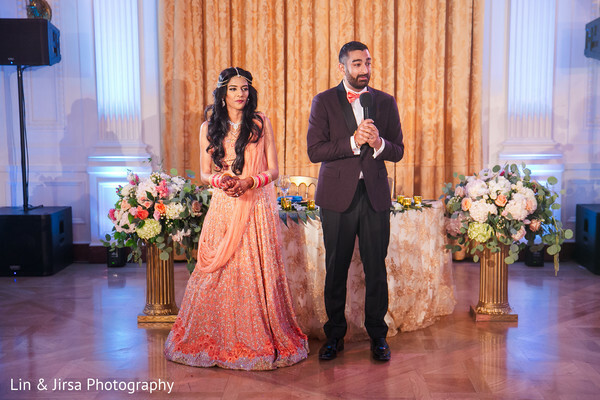 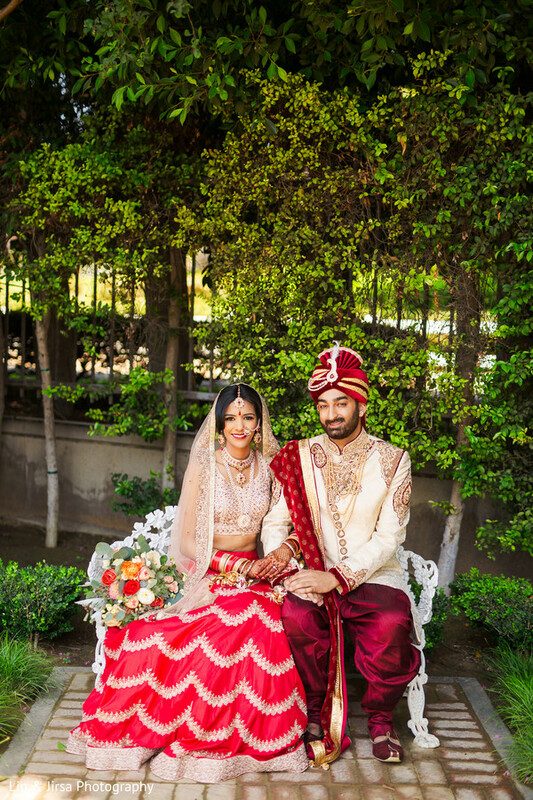 While her beau, Giresh, went for an equally stately outfit brocade with the most dreamy patterns. 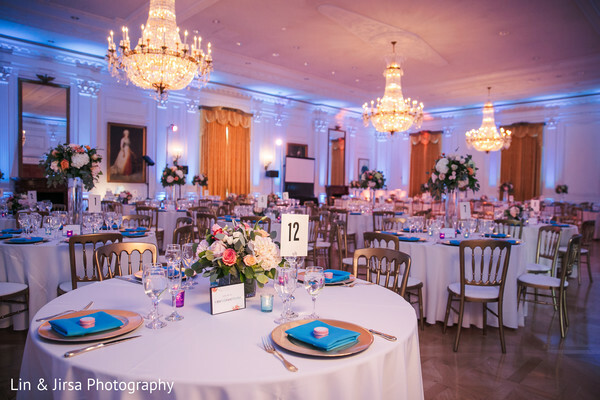 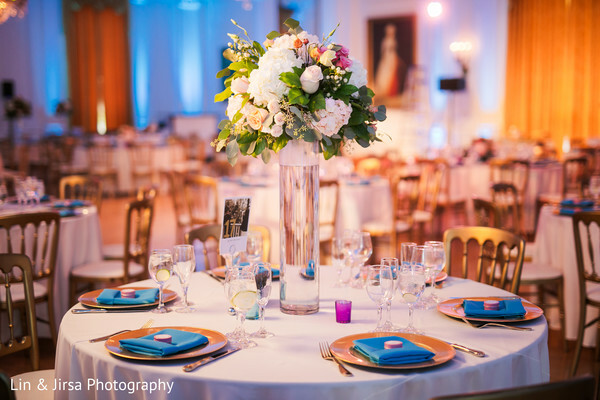 Hats off to Eventrics Weddings who helmed the grand event with perfection! 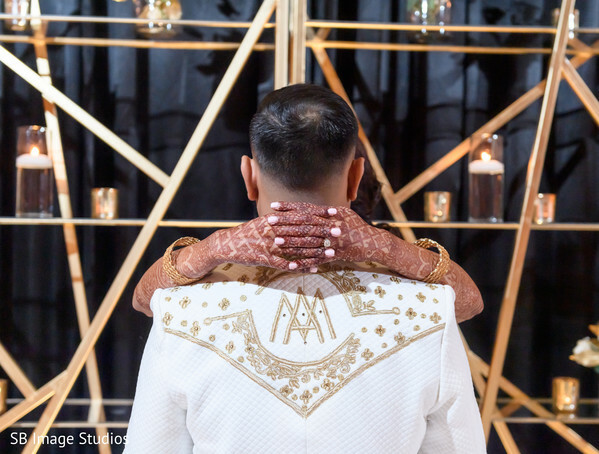 Our complete gallery has lots of big moments of this unique wedding that you will simply love! 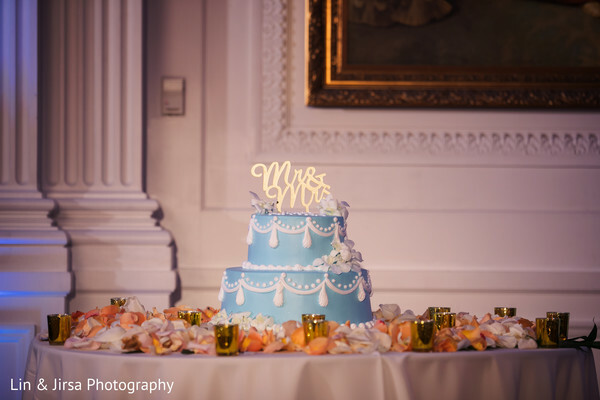 Head into the third feature of this lovely union and find more wedding inspiration! 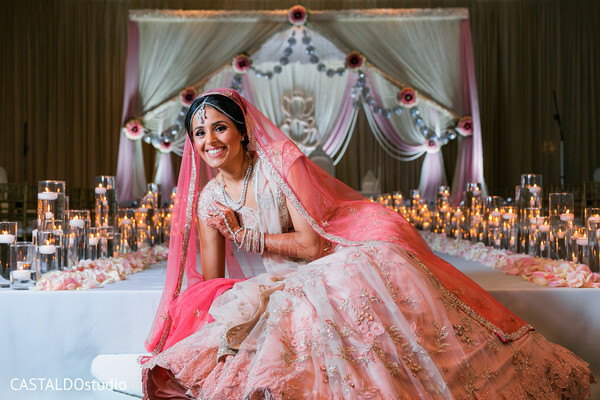 After Ritika slipped into her dream lehenga, it was time to show her stunning look to the Raja of her dreams! 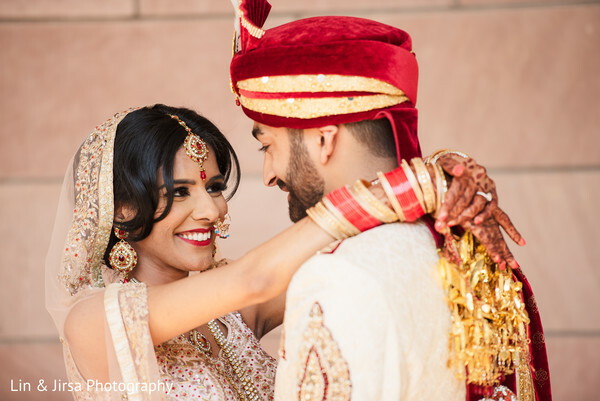 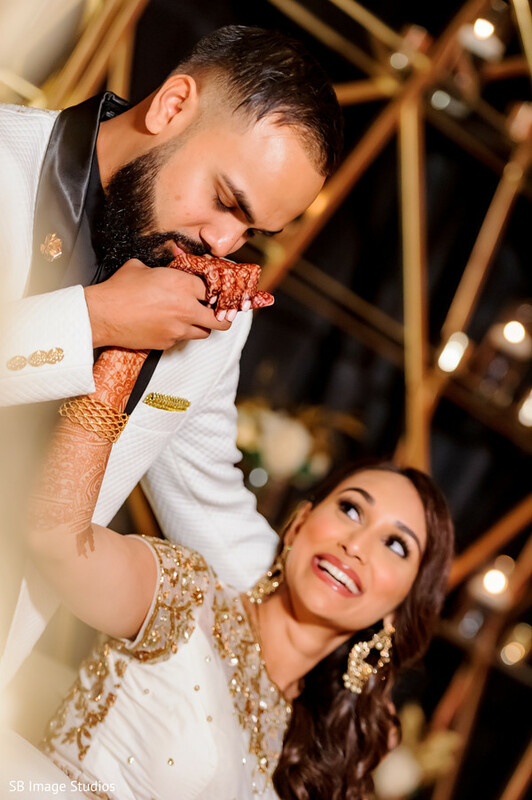 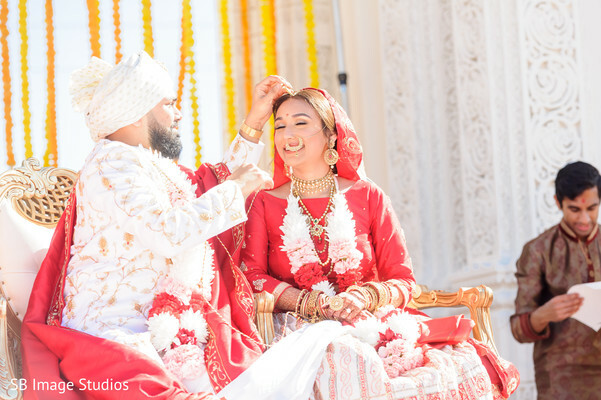 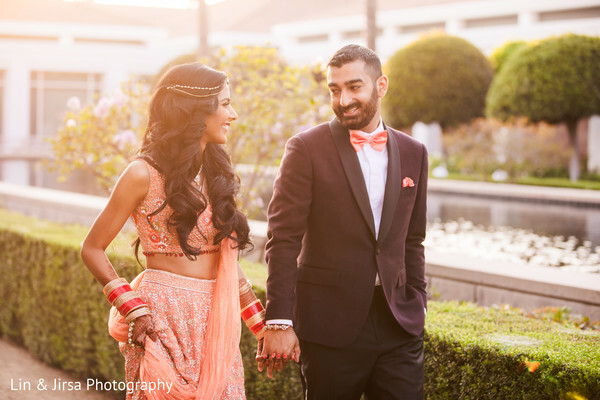 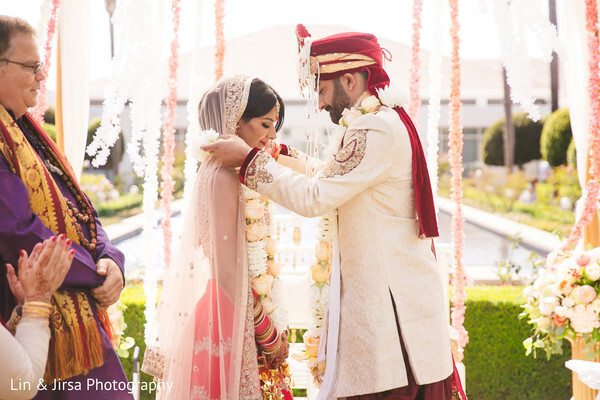 Lin & Jirsa Photography captured a sentimental photo shoot of Nik seeing Ritika for the first time and the moments are just priceless! 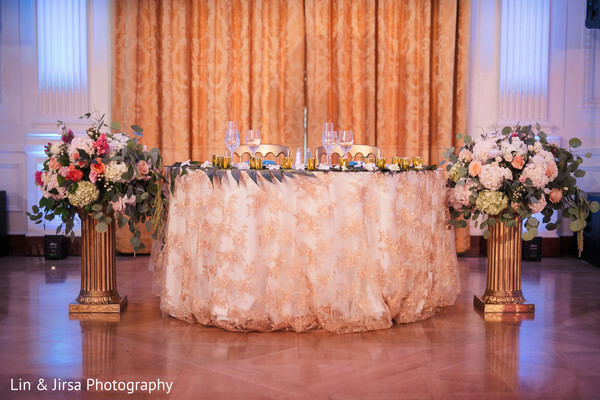 The sophisticated Richard Nixon Library was specially picked for this charming duo to hold their perfect nuptials. 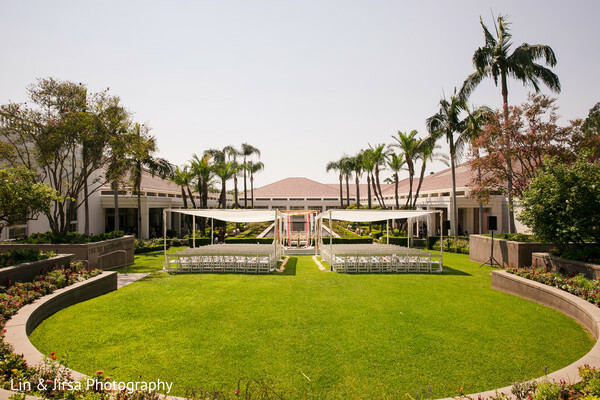 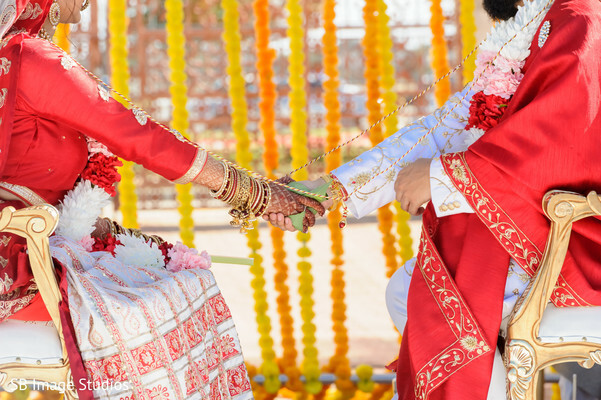 Its exuberant First Lady’s Rose Garden framed the pre-wedding photo shoot while the perfectly trimmed lawn was transformed by Kumba Events for the marriage ceremony with the sweetest mandap design and flower arrangements. 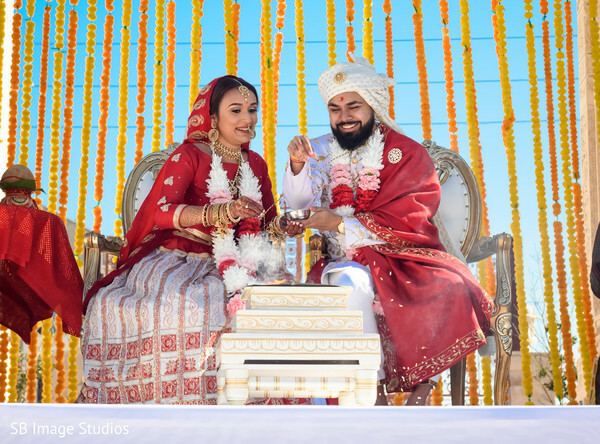 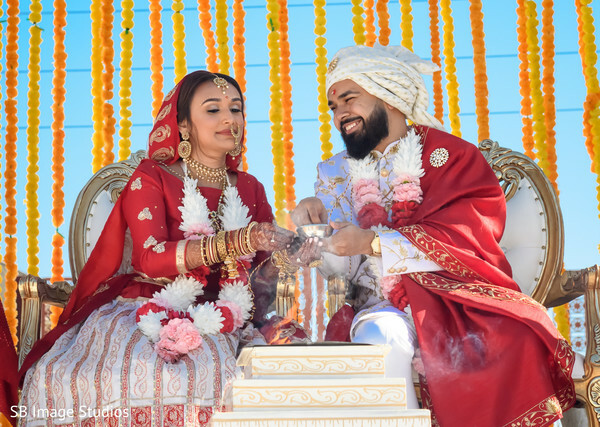 As these two exchanged vows, the guests observed the rites under big tents and listened to Ronobir Lahiri Music’s hypnotic sitar melodies. 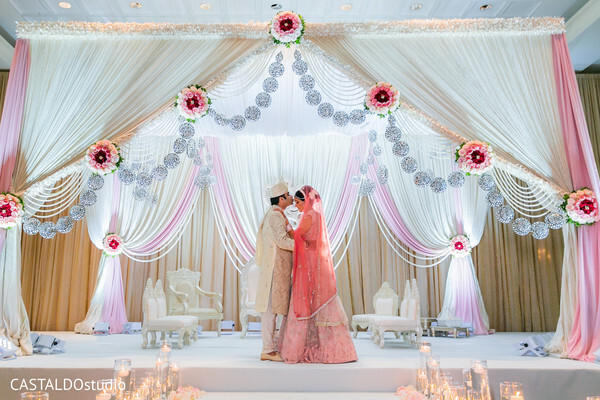 What a dreamy ambiance! 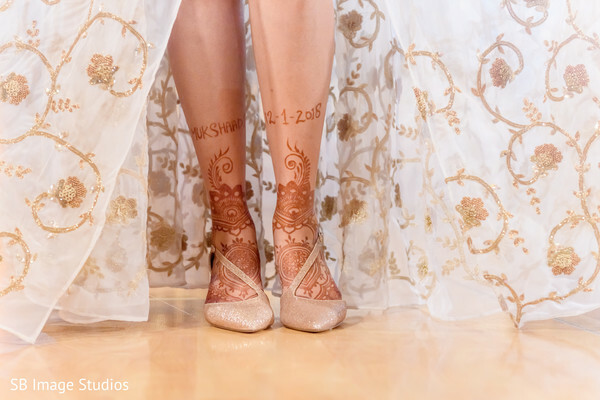 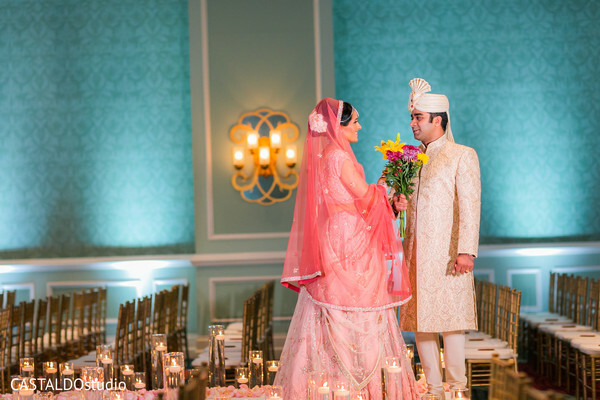 Sweet Blossom Weddings illustrated the couple’s vision and signature style by planning and executing this wonderful part of their celebration of love! 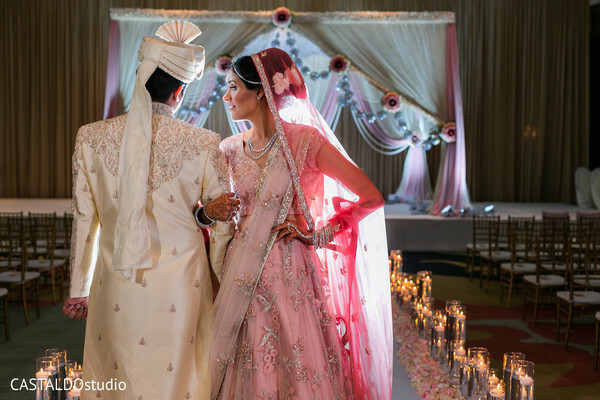 Check out the complete gallery for more inspiration. 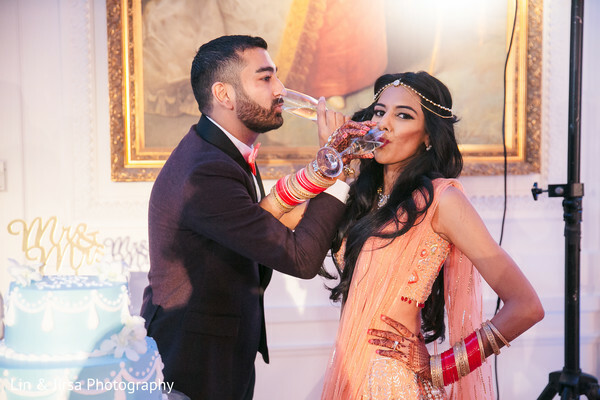 There is a lot more wedding fun to come in our following feature! 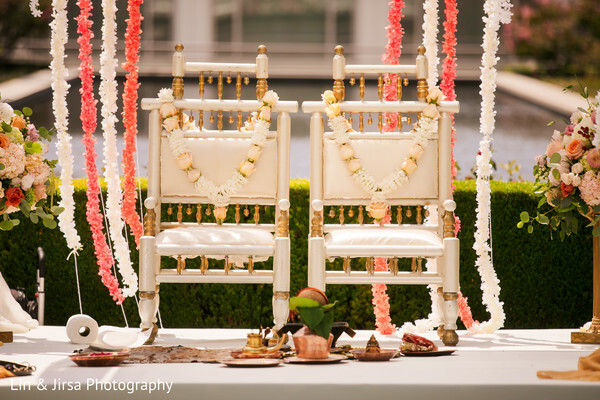 Maharanis, It is time to unveil the heart of the wedding festivities of Amisha and Mukund! 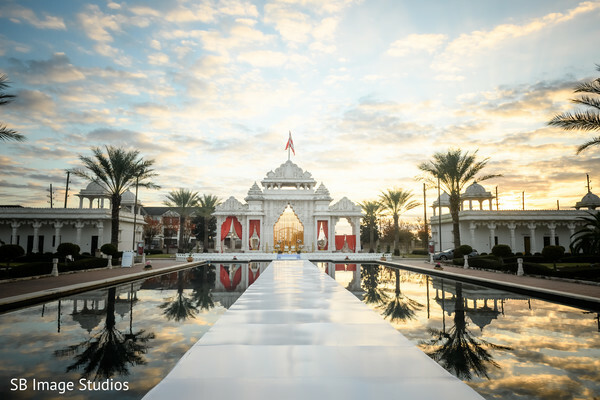 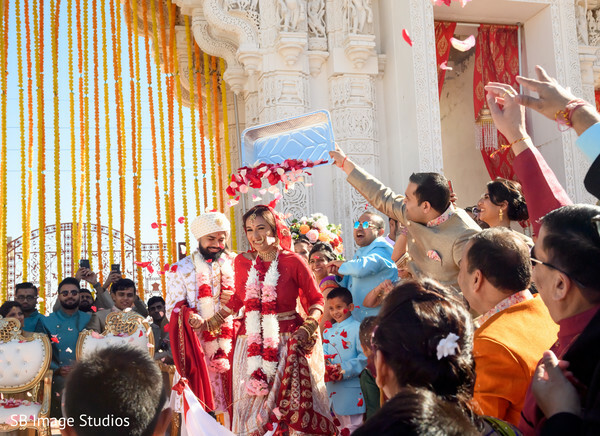 Now we are at the BAPS Shri Swaminarayan Mandir where this charming duo held a stunning outdoor ceremony at this paramount peaceful venue. 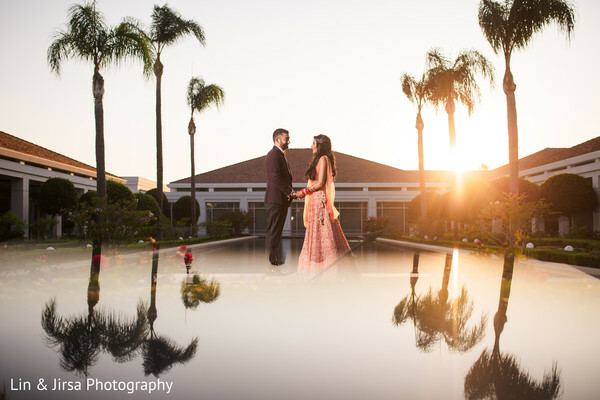 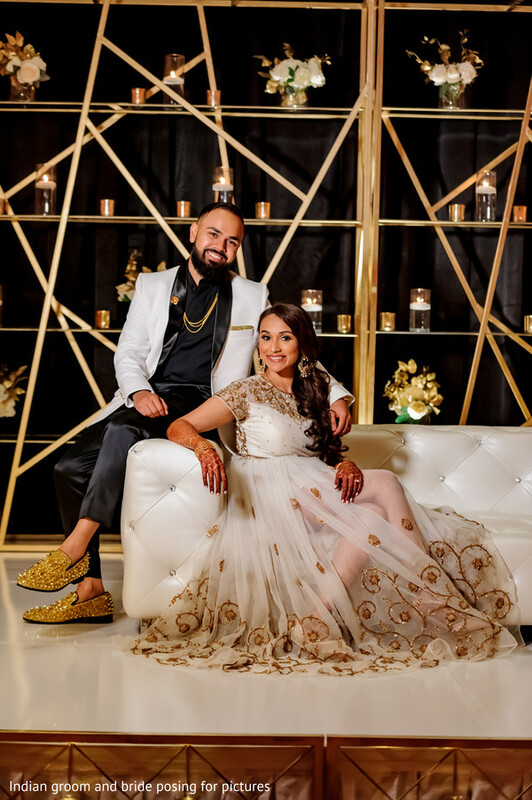 Mesmerizing frames defined the magical photo session that our friends from SB Image Studios shoot before the “I do's” and that portrayed the beautiful couple in their best wedding splendor! 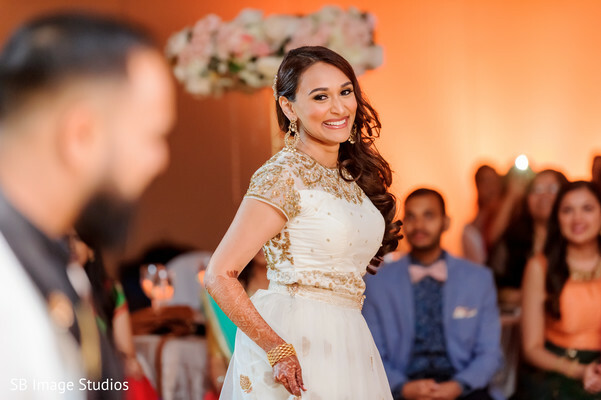 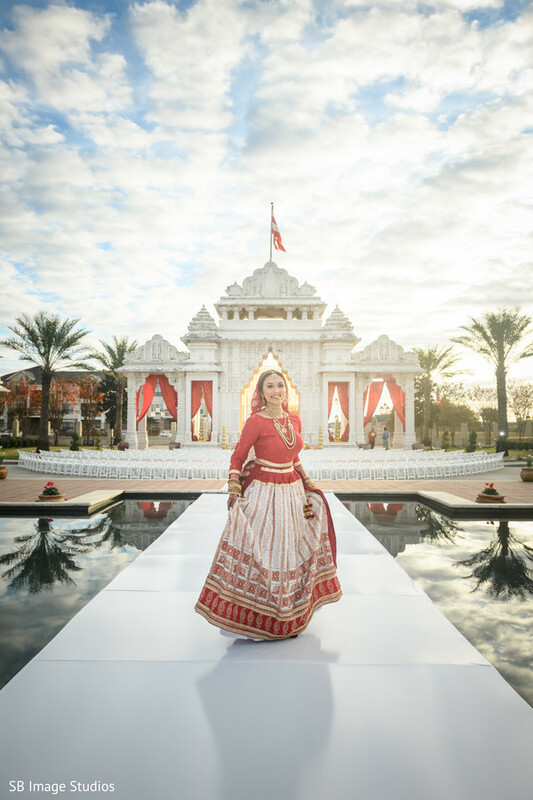 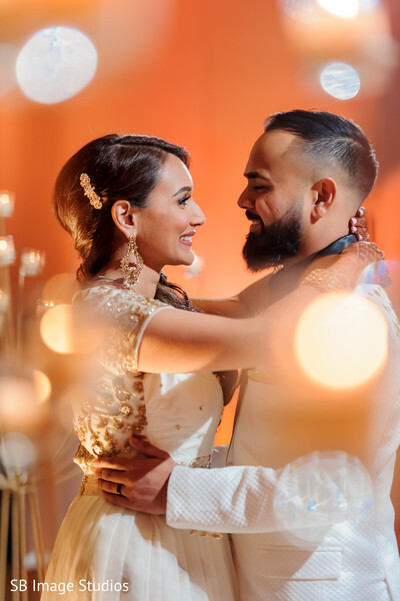 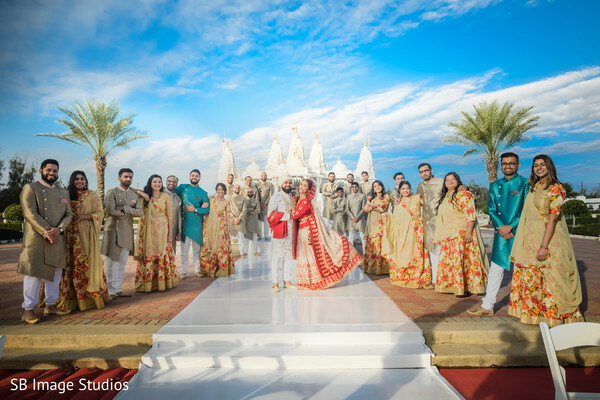 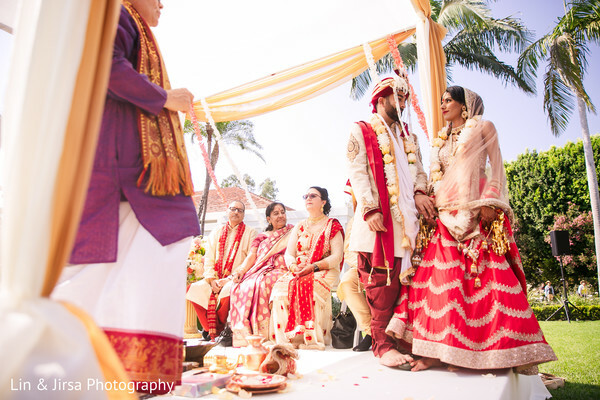 Amisha was a vision in white and red while her striking jewelry gave her a regal aura, while the stunning makeup created by Laura Rivera & Co finished off the perfect bridal look! 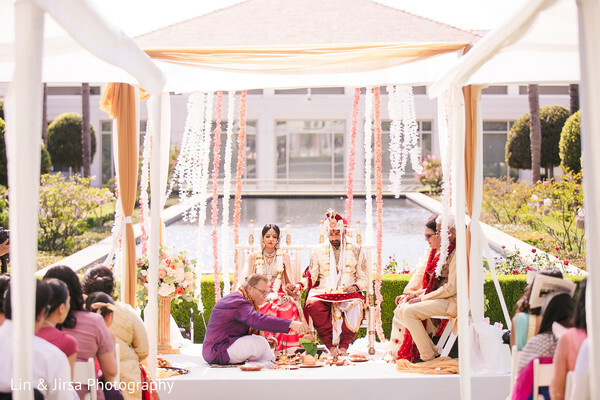 The rites took place in front of a beautiful cascade of yellow flowers, created by Dream Decor that turned the ceremony spot into a dream! 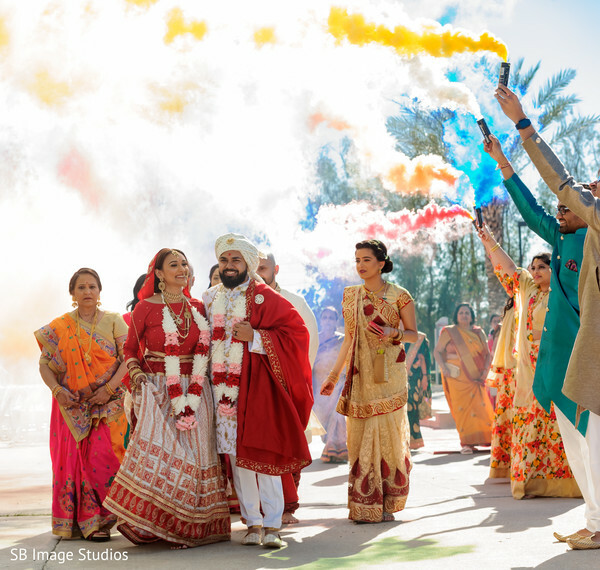 The main event was shut down in a festive manner, with a fantastic wedding exit toss that included colorful smoke bombs and cheers from the guests. 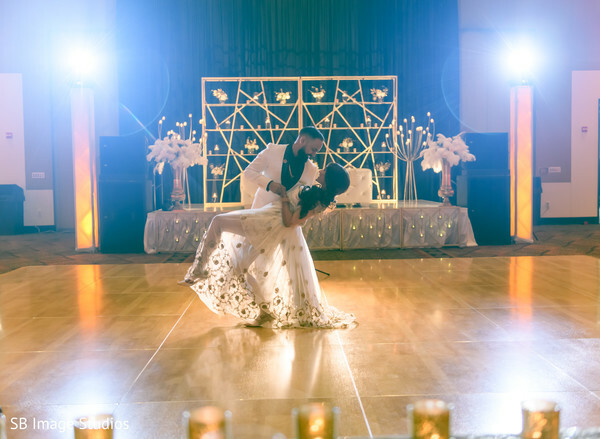 Head into the complete gallery for a sneak peek! 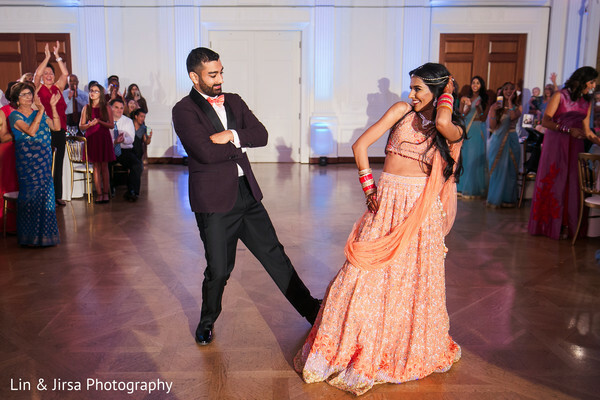 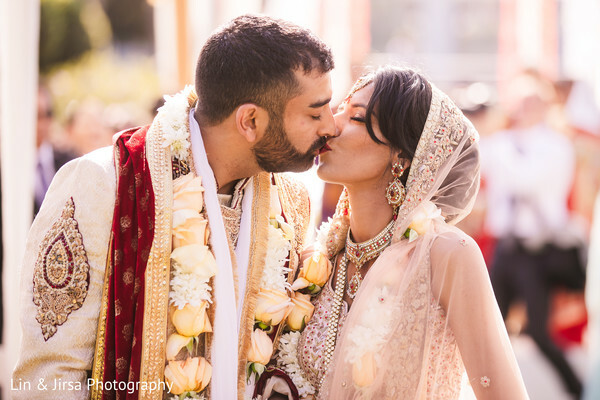 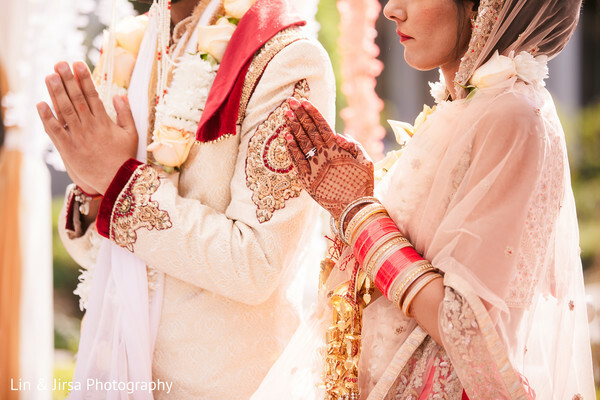 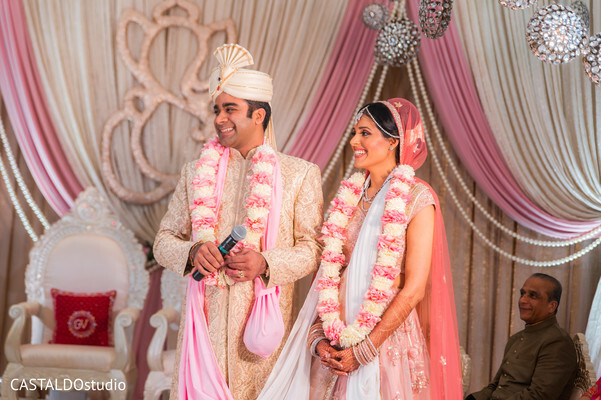 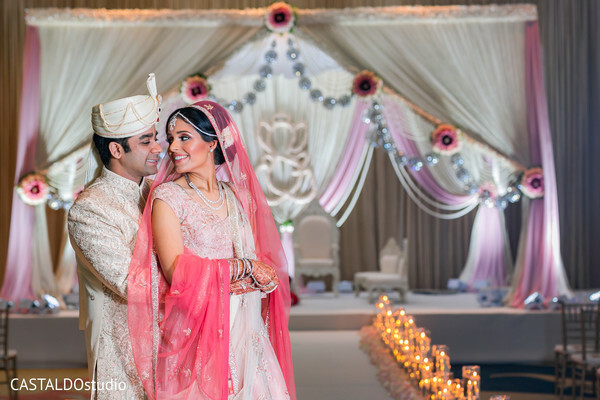 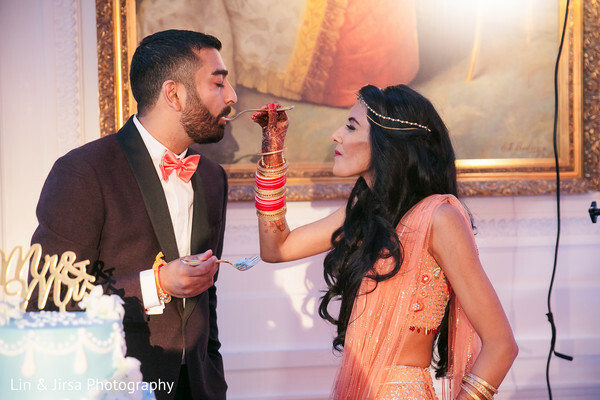 Come back later as we unveil the wedding reception from Amisha and Mukund’s big day!